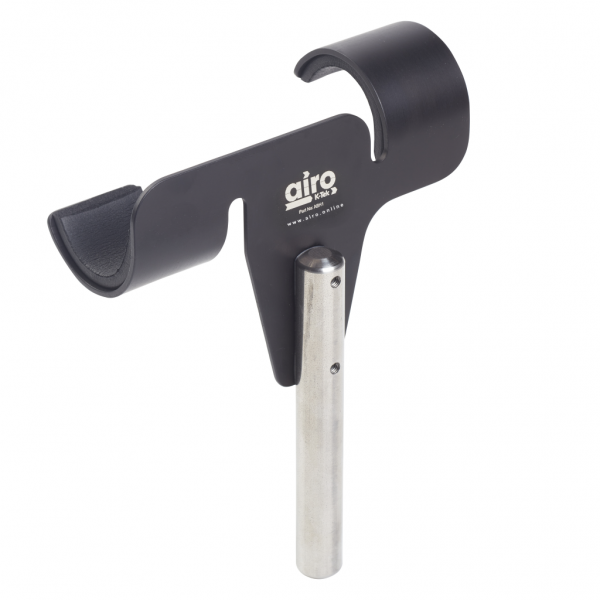 Product information "Airo ABH1 Boom Holder 1"
Secure your boom with padded & wide holding points. Made in the USA, this new Boom Holder cradles your pole while its stainless-steel pin can be locked into any common grip knuckle on a C-Stand. This simple and functional design is ideal for sit-down interview situations or when the microphone can remain suspended in one location. The black anodized aluminum cradles are wide and padded to securely hold your boom without doing any damage to your pole. The ABH1 was designed with strength in mind and to minimize damage to the boom while maximizing safety on-location. ABH1 includes the padded Boomholder with stainless steel pin; (grip knuckle & Stand not included). Related links to "Airo ABH1 Boom Holder 1"
Customer evaluation for "Airo ABH1 Boom Holder 1"